Once a cluster of distinct farming communities and lakefront resorts, Randolph Township in Morris County has grown rapidly in the last 25 years into a largely residential suburban community. 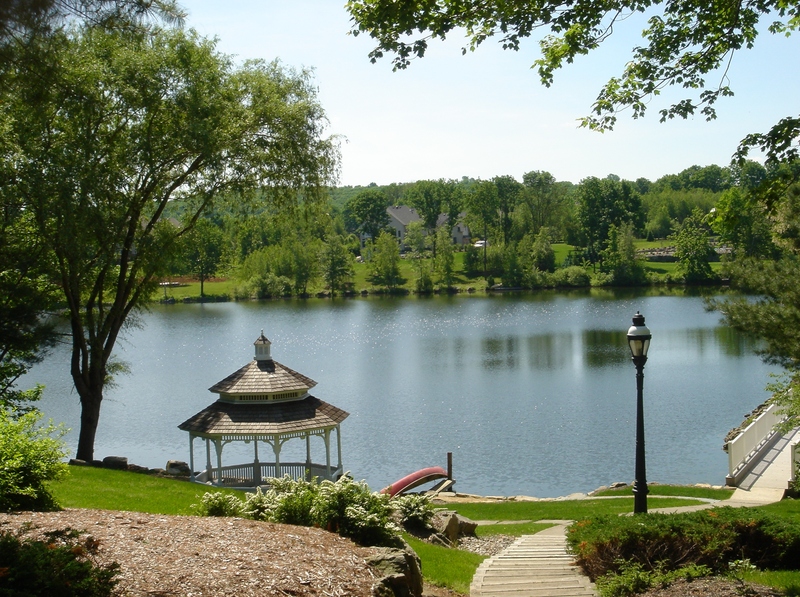 Beautiful green forests, rolling hills and fishing streams reminiscent of a typical New England town best explain the natural beauty of Randolph Township, located entirely within the Highlands of the Appalachian Mountains. Founded in 1805, Randolph Township includes neighborhoods such as Ironia, Mount Freedom, Shongum, Millbrook and Mount Fern. Randolph Township is a largely residential town which boasts excellent schools, active recreation programs and a wealth of citizen volunteers. What makes Randolph Township appealing is that you can live in the country and still be accessible to urban businesses and cultural places. In addition to Randolph’s reputation for excellent Summer and year-round community activities, the Randolph School District has a well-deserved reputation for excellence. For higher education, County College of Morris is located on Route 10. It is a source of knowledge, cultural events and even assistance for small business owners in town. The township has been a leader in preservation of open space, through a dedicated local tax and the use of county and state funds. Freedom Park on Carrell Road is the town’s largest recreational facility which boasts a new children’s playground. Also, athletic fields are located at Heistien Park on Doby Road and Freedom Park on Millbrook Road which connects to Patriot’s Path. Located in the heart of Morris County, Randolph Township is well connected to the region by Route 10, which connects to Interstates 80 and 287. Newark is 25 miles to the northeast, New York City is 32 miles to the east and Philadelphia is 85 miles to the southwest. Rail service is available in neighboring Dover Township. Newark, NYC, The Meadowlands, and Newark Airport are within easy reach. For current shopping needs, Randolph Township residents enjoy the convenience of popular stores on the newly paved and reengineered Route 10, including Kmart and Pathmark, Staples and Super A&P. Sears, Macy’s, JC Penney and Lord & Taylor are found at the nearby Rockaway Townsquare Mall, and the Roxbury and Ledgewood malls provide The Home Depot, Wal-Mart, Lines ‘N’ Things, ShopRite and more. Only minutes away is the downtown Morristown shopping district with over 200 shops, services and restaurants. © 2019 Garden State Multiple Listing Service, LLC. All rights reserved. IDX information is provided exclusively for consumers' personal, non-commercial use and may not be used for any purpose other than to identify prospective properties consumers may be interested in purchasing. Information is deemed reliable but is not guaranteed accurate by the MLS or Prominent Properties Sotheby's International Realty. Notice: The dissemination of listings on this website does not constitute the consent required by N.J.A.C. 11:5.6.1 (n) for the advertisement of listings exclusively for sale by another broker. Any such consent must be obtained in writing from the listing broker.The data relating to real estate for sale or lease on this web site comes in part from GSMLS. Real estate listings held by brokerage firms other than Prominent Properties Sotheby's International Realty are marked with the GSMLS logo or an abbreviated logo and detailed information about them includes the name of the listing broker. Data last updated 2019-04-25T18:47:31.783.